Looking for a quick and easy way to add a sense of comfort and style to your kitchen or home bar? Replica Tolix Bar Stools are created with these key elements in mind. Suitable for indoor domestic or commercial use, these stools can be the perfect addition to your bars and kitchens. 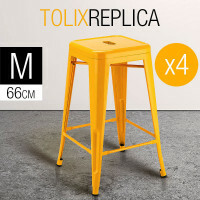 Replica Tolix Bar Stools are available in sets of two and sets of four stools based on the popular Pauchard Tolix design. 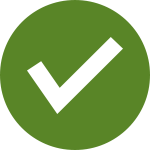 Manufactured with quality workmanship, they are indeed the perfect alternative to the original iconic piece. When not in use, they can be easily and typically kept out of the way as they are not as bulky as traditional dining chairs. Replica Tolix Bar Stools are stylish seats that you can easily match with whatever tabletop or counter you pair them with. Choose from a selection of quality powdered coated steel and polished bamboo designs that are great not just for kitchens, but also for offices, diners and cafes. The sleek and modern designs of these chairs easily match other furniture collections while adding some flair to your homes. Comfortable, functional and stylish, Replica Tolix Bar Stools are sturdy enough to handle daily wear and tear. They are truly a welcome choice for modern homes and preferred a lot by busy bodies who do not have the luxury of time. They come in eye-catching colours including yellow and orange, as well as elegant versions of white, black, dark bronze and silver. Replica Tolix Bar Tools are the ideal partner for other indoor furniture. To help you build a perfect home, you don’t need to go far as Mytopia also offers a fine collection of Dining Sets as well as Lounges & Sofas. There are also outstanding products designed for the outdoor space such as Outdoor Umbrellas, Sun Lounges and Outdoor Lounge Sets. Purchase Replica Tolix Bar Stools today and add seating to your bar or kitchen with style!